When we direct our thoughts properly, we can control our emotions. Emotions are not something to be afraid of; we all have them and as a beating heart ensures life, so our feelings give that life meaning. However, we live in a world of constant motion and commotion: A Volatile, Uncertain, Complex and Ambiguous world. One-in-Five of us report feeling unusually tired each and everyday — even following a full night’s sleep. Whilst in the workplace, passion and purpose are back on the corporate agenda. They are the current Boardroom buzzwords that tell us as employees exactly what’s expected of us in the workplace, as margins continue to be squeezed, further efficiency savings are sought and greater productivity demanded. In fact, the number of people working excessive hours in the UK alone has risen by 15% since 2010. Put another way, a total of 3.417 million people today are working really long hours, up by 453,000 over the past five years. And these figures do not include the self-employed! Perhaps then it’s not surprising that lost productivity resulting from stress related absences in the workplace is a very real and pressing problem for not just the UK economy but also the global economy too. In the UK current losses are running at £23 billion per annum. Whilst the number of working days lost each year as a direct consequence total some 105 million, costing UK employers around £1.24 billion annually. And perhaps it’s not surprising that conflict in the workplace is on the rise too, with one study conducted across Europe, the U.S. and Brazil, suggesting that 85% of employees at all levels experience some degree of conflict in the workplace. The pressure is on and it would seem emotions are running high — but it doesn’t have to be that way. 80% increase in employees reporting greater job satisfaction, increased employer engagement and better working relations generally. Taken on their own these findings give a great deal of food for thought. However, when other businesses report a dramatic fall in their health care costs, or that share earnings have risen as a direct result of Mindfulness improving employee relationships and increasing engagement, then we all need to take note. The evidence is unequivocal. Introducing Mindfulness into the workplace helps employees to regulate and manage their emotions better. They have a calmer mind, enjoy better relationships, a clearer sense of purpose and greater job satisfaction. They have greater tolerance, are better at resisting distractions and dealing with demanding workloads and tight deadlines. Quite simply, the practice of Mindfulness helps them to direct their thoughts properly and control their emotions. 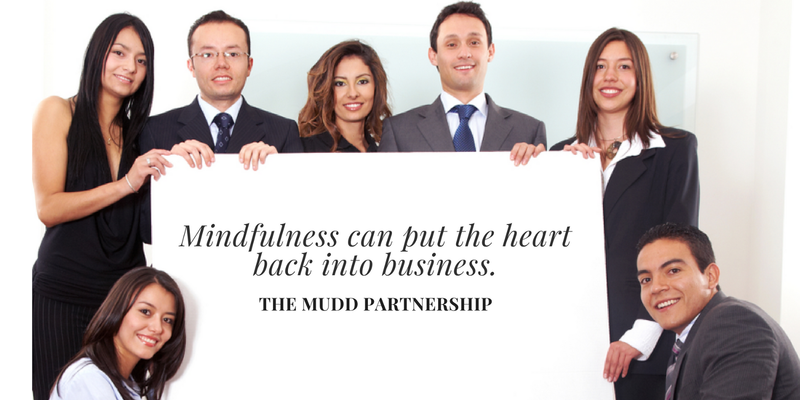 Mindfulness can put the heart back into business. It can restore balance and increase self-awareness, self-management and calmness into the workplace. So, let’s put Well Being & Well Doing on the corporate agenda and bring Mindfulness into the workplace. If you’re an employer, set aside time and room. Start to offer lunchtime Mindfulness Taster Sessions, encourage staff to stop multi-tasking and instead focus on doing just one thing at a time, &, to take regularly breaks. Whilst if you’re an employee, why don’t you get together and set a ‘Mindful Challenge’ for your workplace. Start each day with a positive affirmation, keep daily Gratitude Journals and practice Mindfulness breathing before undertaking difficult or repetitive tasks. And don’t forget to email Paul and let him know how your workplace ‘Mindful Challenge’ is going.